Come with us exploring Aberystwyth in search of the marvellous! Let’s see what we can see. 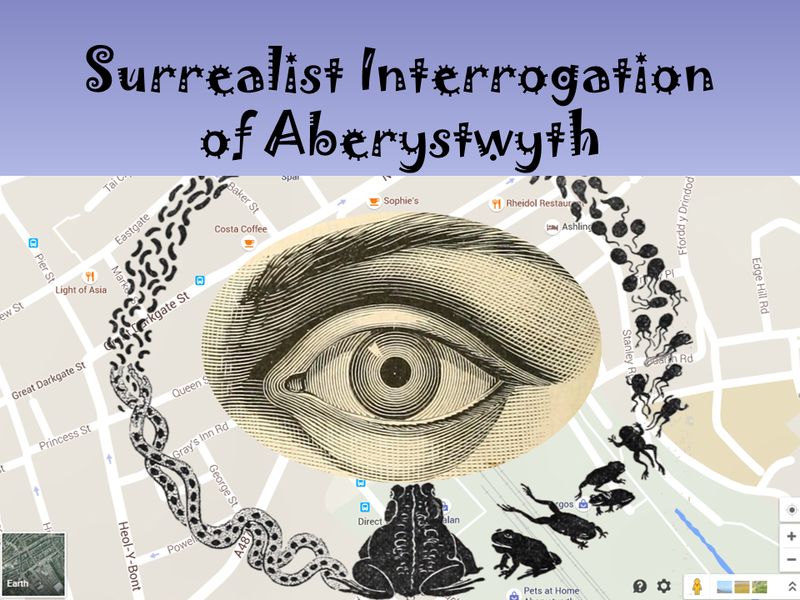 If the weather is nice, we will venture out for part of the time and find the answers to our surrealist questions in the town of Aber, then reconvene at the gallery to share the results of our interrogations and play more games. Please be at the Gas Gallery no later than 8:00pm if you would like to join this journey. 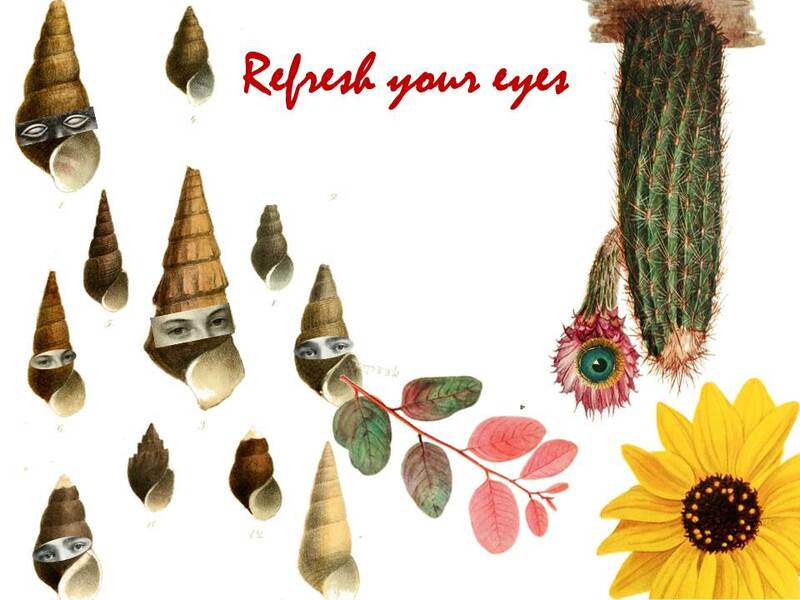 Uut Poetry is conducting a Year of Surrealist Games, many of which are based on classic games and those compiled by Kenneth Cox of the Leeds Surrealist Group for the book Ce Qui Sera, which you can purchase at LuLu. 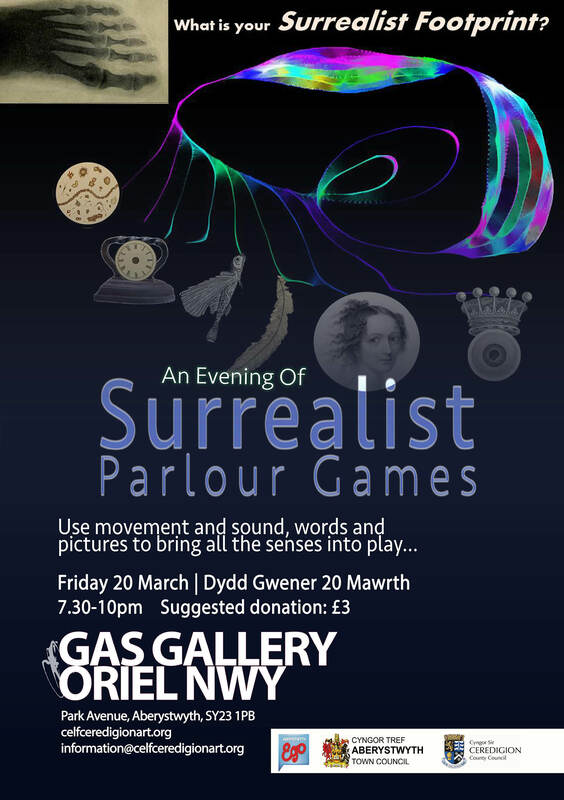 We will be doing some of these in our Surrealist Games evenings at the Gas Gallery, next one is 17th April. 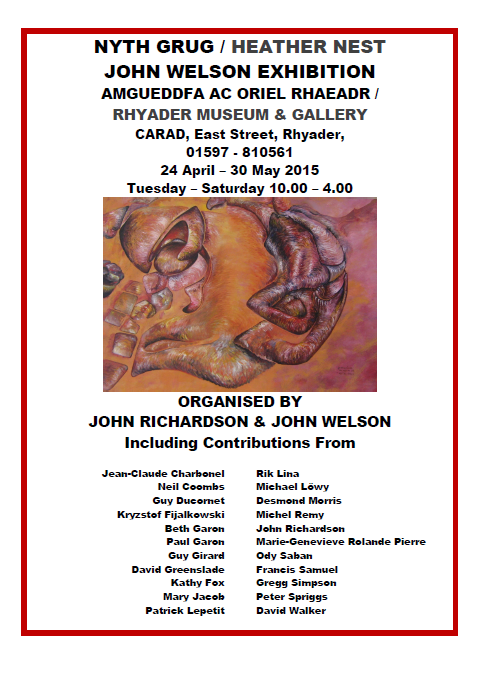 Do come along.